Minimize learning costs and maximize the productivity. Start capturing business process with Visual Paradigm, an intuitive visual modeling software that comes with a full set of east-to-use BPMN tools, such as the Resource Catalog, which assists you in creating business process diagram rapidly, and guides you in creating the right BPMN shapes at right places. Save time in designing and editing. 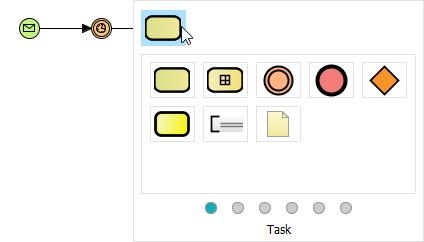 Insert workflow elements (e.g. BPMN task) into process design with the help of magnet, sweeper and Resource Catalog. Keep the pool automatically sized with the auto-stretch feature. Instant task to sub-process conversion with single-click. Describe design changes with callout shapes. 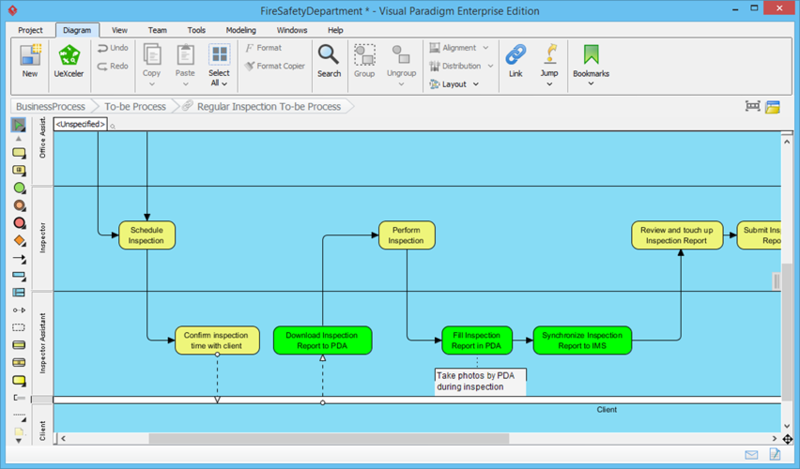 Unlike many other tools, Visual Paradigm does not require memorization of all the rules and syntaxes of BPMN. 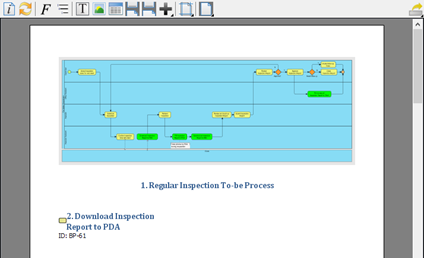 The BPMN tools allows analysts to concentrate on the design at hand rather than recalling notations. Also, the validity of BPMN diagrams is safeguarded by the automatic rule checker in Visual Paradigm. The reliability of your work is sure to go up. Share your process design ideas with business stakeholders and teammates by developing a content-rich business process specification, or business requirements specification. Although a rich set of templates are provided for quick document production, they remain customizable to fulfill any kind of custom documentation needs. A challenge of collaboration is to avoid team members from modifying the same part of the business process design at the same time. 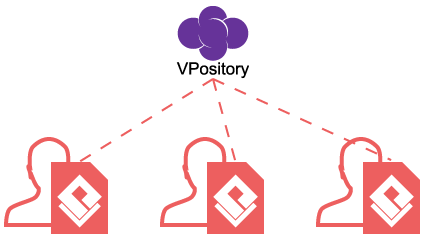 Visual Paradigm enables the entire team to design business process concurrently and smoothly, with our cloud repository. Share your BPMN business process diagrams with your business stakeholders. Let them view your process diagrams online, and give comments. Based on their comments, you can refine the design and let them verify/approve. At the end, quality process diagrams are created, and your clients are thrilled. 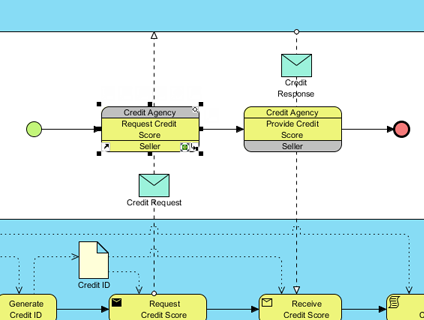 BPMN provides a standard way to graphically represent business processes in a business model. It is a common language shared by analysts who create and refine business models, technical developers responsible for implementation and business managers who supervise. 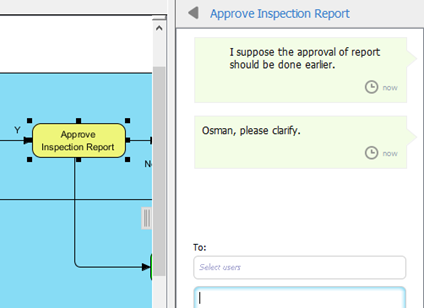 As a BPMN tool, Visual Paradigm is 100% BPMN-compliant and supports the most up-to-date BPMN standards. We all appreciate the benefits of having a multiple language interface for an application, such as Microsoft Windows. Likewise, analysts working in multinational corporations often need to present their workflow designs to people from different parts of the world. If it is the case for you, our Nicknamer feature will help solve that problem. 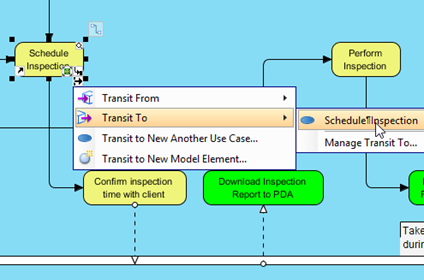 Model as-is business process, and then transit to the future, to-be process model, just with a single click. You can compare the models and see their differences. You can also generate documents for different models, or a single specification will all models presented..
Model operational workflow with business process diagram, and then generate use cases. More than a general BPMN software, Visual Paradigm supports UML, as well as the bridging from BPMN to UML. You can extract use cases from tasks/sub-processes in BPD, as well as to navigate between workflow designs and use case model. And with the use case model, you can derive UML sequence diagrams for modeling system interaction, and so on.